I continued to direct kids getting ready from my bed. Lazy parent day, I know... And, a few minutes late, but good enough, the others left for the bus. And Jim and I snuggled back in to sleep. Then, at 7:50am, Eme comes down stairs, in jammies, hair wild. She'd JUST woken up! Whaaat? How did I miss a sleeping child? I think Tom and Joe thought that she'd gone to the bus early. Sigh. So I had her get all ready, Jim got ready, and I threw on come workout clothes, and we all headed out. I dropped Eme off at school (she wasn't late, which was a miracle), and I headed to Kari's house. And as I was coming back inside the gate, I realized that I'd left my purse in the trunk, so I had to stop and pull it out to get my id. Then, as I'm handing the ID to the gate guard, of course if flies out of my hand and drops to the ground. "Sorry, it's just one of those days", I say to the guard, and he just grunts and looks at the ID, then hands it back. Fine, be that way. I'll save my funniness for someone else! Kari drove us over to the CDC, and I dropped off Jim. Then Kari and I headed to the mountains! It was a REALLY nice hike this week! Nice little POP of color, huh? Who said the desert can't be beautiful! I hopped in the shower, and got pretty, then started on some lunch. I was gonna use the last of the rotisserie chicken! I cut it up, added 1/2 a diced tomato, and 70 grams of mozarella cheese. Then microwaved it, and put it on a Sandwich Round. SO tasty! At around noon, Kari stopped by to pick me up. She's going to a convention for Pure Romance in Nashville this coming weekend, and it's cowboy themed. So she needed some Western wear. And El Paso is FULL of western wear. Unfortunately, it's SUPER expensive! We found some cute-ish stuff, but the shirts were like $35-55. Yeah, I'm SO not paying that much for a shirt. Kari did find a shirt she liked well enough, and a fancy silver belt. At the register, I told Kari to hang on for a second, that I'd be right back, that I needed a picture of myself and the horse statue. She thought I was pretty funny. ha! She dropped me back off at home at 1:30pm, and I had about 30 minutes to straighten up the house before Rowan (Laurie's youngest) was gonna be over. I'm babysitting him from 2-3:30 today, and then from 7:30am -5:30pm on Friday. Anyway, I cleaned up my house a little while, then sat down to work on my store. Rowan came over around 2:30, and we watched some episodes of Kim possible. At 3pm, Rowan and I walked to the bus to get Jim, the walked back. Jim and Rowan watched TV and played for a bit, then Jake was home. Yeah, he was totally supposed to ride the youth center bus. Oops. He couldn't find the right one. He asked if I'd drive him over there, and I said yes, it it fits in the schedule. Rowans dad showed up about the same time at the other kids got off the bus. I loaded everyone up, and we headed out to the youth center to drop off Jake. He was pretty excited about going. And we asked about the bus at the front desk, and he now knows which ones to ride. Thank goodness! After the defeating Lego's experience, we headed to the food court. For some burritos. A Beefy Cheesy Nasty and a chicken burrito. $.99 each. Can't be the price. I ordered the fod, got the water cups, and the little boys were running around OS much! That's why they're picture are so blury. Mmmm, soda makes everything happy! Here's Tom with his legos. Here's our new little plants. The kids got to hold their plants on the way home. I told them that plants like it when you sing/talk to them. Nicely. Kindly. You have to say it in a sweet way. They were ADORABLE with their plants! The road home parallels are railroad track (hence the street name Railroad), and there was aline of tanks that stretched out forever! We headed to the Teen center, picked up Jake, and headed back to post. Jake had had a fun time, but was hungry. We got back home, he ate, and the kids and I planted plants. Pray for them, because I dont' know what I'm doing. I didn't get a green them, what so ever! Eme and Joe and Jim went to bed, and Jake and Tom and I watched Chuck. And I quit. Wait, I think I fell asleep. I wonder what I was dreaming about. LOL! That was supposed to be, and I blogged. Ha! I was chatting with Amanda and Terra and Kari and Crystal, all at the same time, and was SO confused. hehe. And I was working on a project for Terra's hubby, and trying to get my store loaded, and my photos uploaded, and blogging done. And yeah, it's not 11:53pm, and I'm happy to say that I'm done! And I'm going to bed. Before I "quit" again. LOL! Tomorrow, I'm babysitting, and Kari and I ware walking in the morning with strollers, then Terra and Amanda and I are having a picnic at the park with the little kids. Should be a good time. Then, we're going to see Insidious and eat at Applebees. YES! I love a good, full day. Click on the link below to go to my account to download the PNG file, and leave some love if you like my work. Thanks! 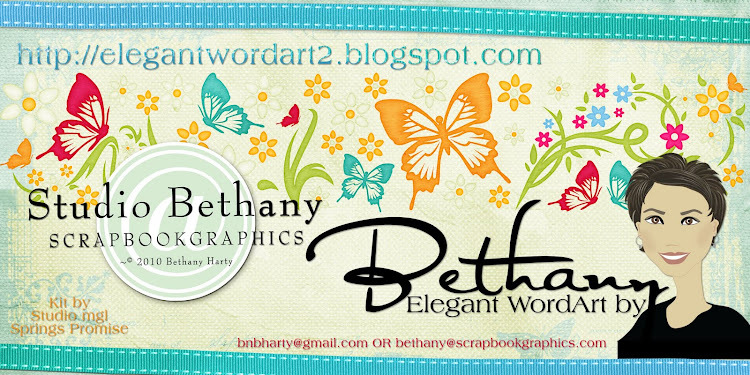 By the way, be on the lookout for an April Food's wordart for tomorrow! Sharon, GREAT layout, as usual!!! Thank you so much for this post. 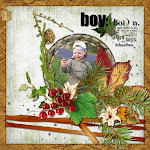 I want to let you know that I posted a link to your blog in CBH Digital Scrapbooking Freebies, under the Page 15 post on Apr. 01, 2011. Thanks again. Did you wear a swinsuit all day ?? What was that look miss?? And I think you may have dissed the Bell!! What was that nasty thing. . you know, those are fighting words! hehebahhhh. . we love the Bell here. .two sides of lettuce, two sides of fresco, order of pinto and cheese, no red sauce, add green sauce and a med. senior diet!!!! My life in a sentence. The cactus flowers were beautiful! As for TB, my son loves TB and asks to go there all the stinkin' time. Thanks for sharing - spent a week visiting colleges for older dd, so am trying to get caught up!